Edible Gold for food, beverages, skin and for mixing them with cosmetic products. The 23,5 Karat Gold Flakes are E175 certified and produced in Germany under highest quality regulations. The Ipacei Facelifting Oil is especially developed as a Facelifting Oil before and after Make-Up. 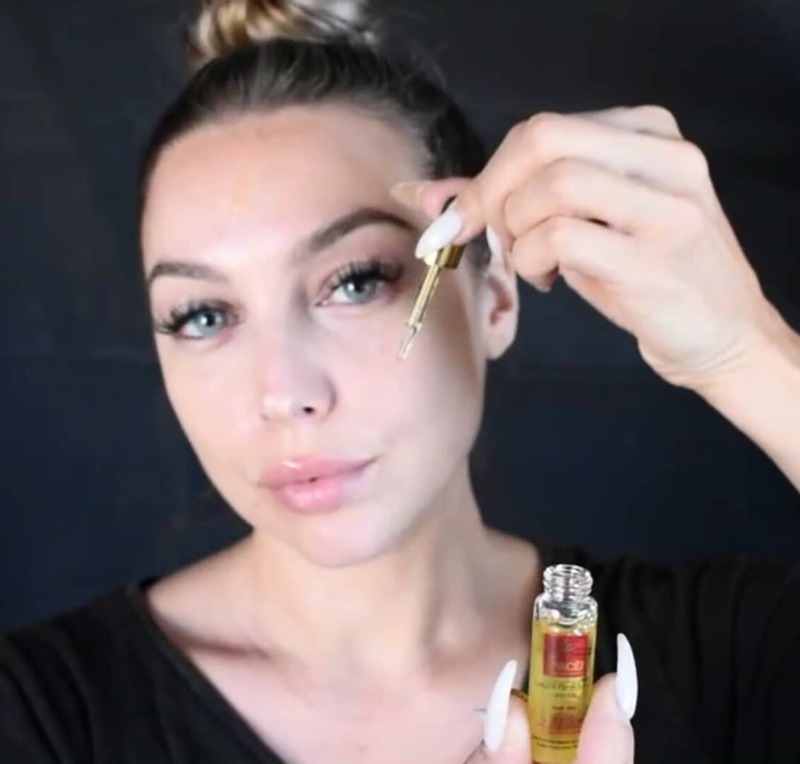 It shows a fast visible smoothy skin and a boosting effect for very stressed, tense facial skin, against small lines, facial folds, prevents age spots and is constructed as a protection against wrinkles. 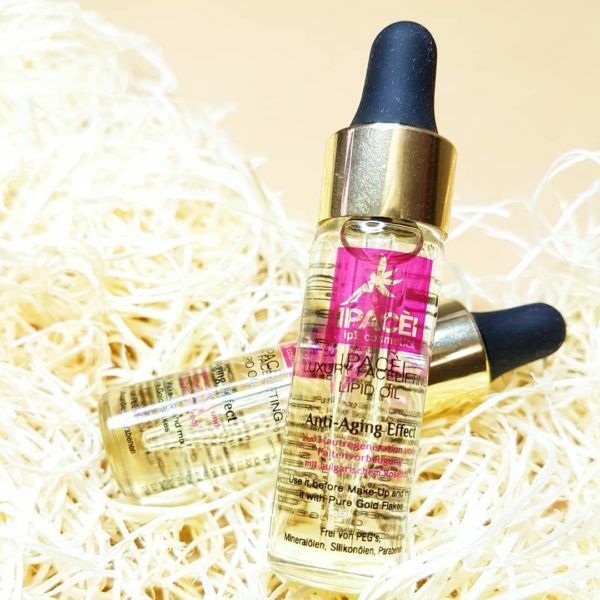 The Ipacei Facelifting Oil does not leave any disturbing oily film. It provides a velvety soft, pleasant and a flat skin with minimized facial folds. If you want to use the 23,5 Karat Goldflakes for food decorations or your favorite cream, use the enclosed spatula to pick up the Goldflakes. Goldflakes which came in contact with the Ipacei Facelifting Oil or other non-food products, should not be eat and cannot be used again for food/beverage decorations anymore. 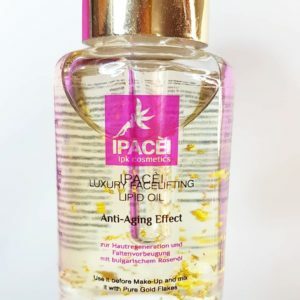 The Ipacei Facelifting Oil can be mixed with the 23,5 Karat Goldflakes. For the face treatment, please use the pipette of the Ipacei Facelifting Oil, pick up the Goldflakes and mix them with the Ipacei Facelifting Oil as desired. 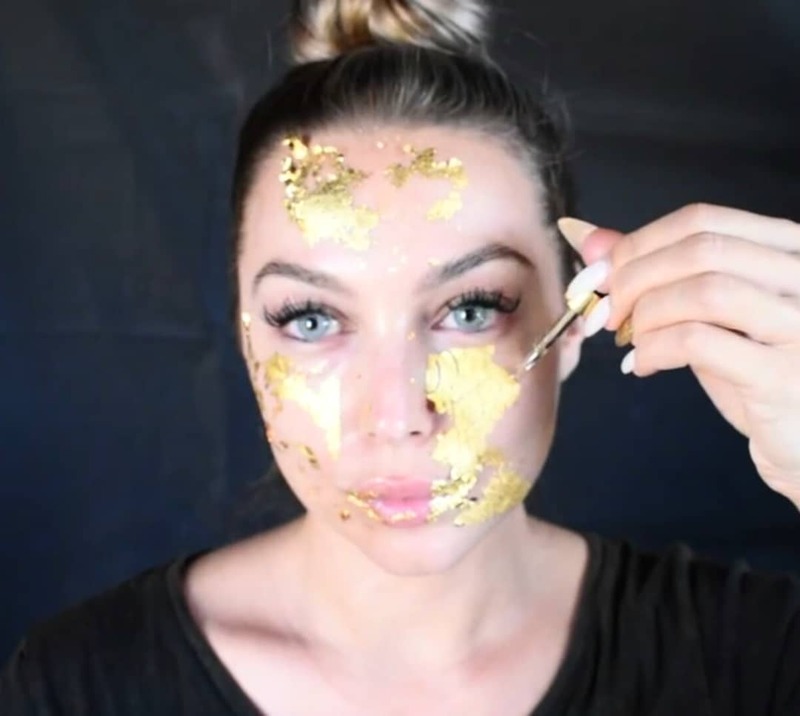 The Gold Face Treatment, well known by Models and Make-Up Artists. 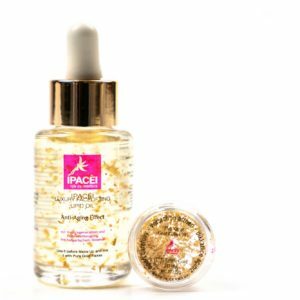 Mix the Ipacei Facelifting Oil in combination with the 23,5 Karat Goldflakes, use it with 2-3 drops before or after Make-Up. 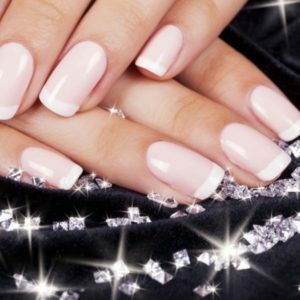 The Ipacei Gold is E175 certified, usable for food, beverages, skin and cosmetic products, if its not contaminated. 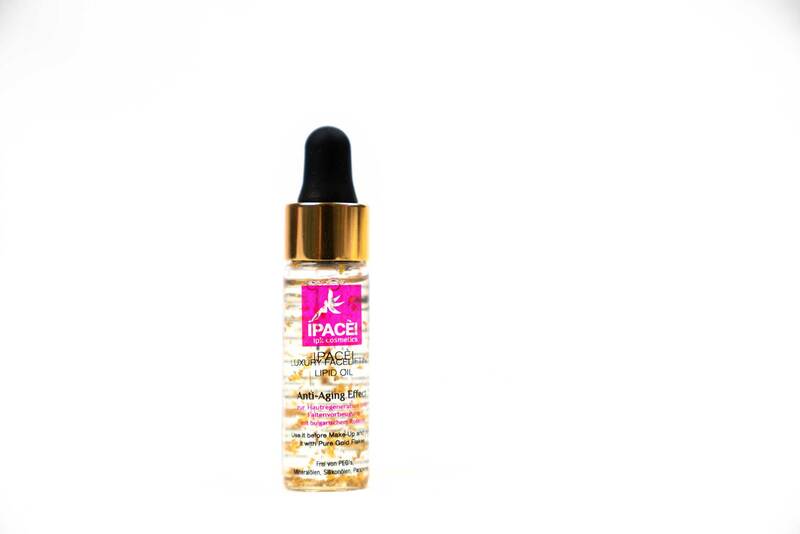 For normal/pimpled skin, the Ipacei Facelifting Oil should first be tested on one place as it is very rich moisturizing. For acne the advice of the house/skin doctor should be added.